Thatcher is proud of you. This week has been a week full of policy announcements from the Tory government. The dismantling of the FSA in return for cash from big food companies was the first blow, although as Deborah Orr eloquently put it: the FSA wasn’t doing that great a job, so it is perhaps not the great loss it first seemed. Not having a state champion for the traffic light scheme is to be commiserated. Cable announced his new graduate tax and reform of universities. And Lansley announced the privatisation of the NHS. It this point that I wish to dwell on here. OK, it is not quite the privatisation of the NHS. What he is doing is opening up NHS hospitals to take private patients and remove them out of trusts. He is also handing budgetary responsibilities to GPs. All of these reforms are being made ostensibly in the name of budget cuts. Notwithstanding the electoral promise to ring-fence the NHS, it is understandable that cuts have to be made in the NHS. However, as with the budget, the method of these cuts is questionable. Giving budgetary responsibilities to GPs is a violation of the division of labour. It’s a fairly simple principle that seems to have done quite well for society ever since there has been such a thing. And yet it’s being ignored. GPs get paid to do what they are good at: treating people medically. They are not accountants. Nor do they have the time to become accountants. So why are they being asked to be accountants? No one would want medical treatment from a book-keeper. This policy allows the government to lay off a few accountants under the guise of ‘handing power to the doctors’. Good try boys, but the ruse is up. Similarly, by offering the NHS the opportunity to take on private patients and to offer patients ‘top-up’ packages on top of their basic care is privatisation under the guise of flexibility and choice. It sounds fantastic: you’ll still be getting all the care you’re used to, but if you pay a bit more you’ll get it quicker and better! The NHS is not Spotify. It is universal healthcare for all. Not a freemium model business. What this means is that patients who don’t pay for extra will be bumped to the bottom of the queue, forced into the worst hospitals where all the talented doctors have been cherry-picked by the hospitals doing better in the private sector. Yes, those who don’t pay will still receive free care, but suddenly healthcare is a ‘get what you pay for’ service, where once it was universal; and those that don’t, won’t, or can’t pay are effectively second class citizens. 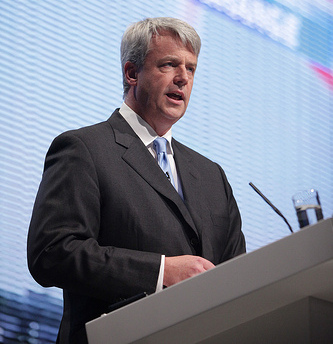 Lansley has even admitted that some hospitals may go under. This is an acceptable consequence of a business sector, but if a hospital goes under, that means that patients have to go that bit further for care, possibly even emergency care. If a hospital goes under, people may die. Similarly, the Tories may argue that introducing competition and private sector measures will increase efficiency, but this has never shown itself to be the case. Been on a train lately? The private sector can be more efficient, and then it can be more ‘efficient’ by cutting corners in order to turn a profit. There are certain things that should always be public services: military, police, health and education. These are sectors where profit is not the aim, it is the service itself. By introducing profit you are distorting the purpose of these organisations. And competition does not predicate quality of output. 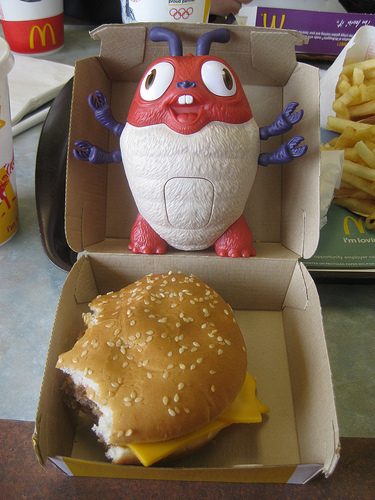 Eaten a Happy Meal lately? The NHS reforms are ideology dressed up as pragmatism, and with each new announcement the government looks less like a coalition, and more a Conservative government in which the Lib Dems are complicit. In privatising the NHS in all but name, Cameron and his cronies are achieving what even Thatcher couldn’t. Hats off to ’em. The problem with life is…poor people get sick.